Joshua Montgomery & Kris Adair are serial entrepreneur's who have decided to make Lawrence, KS their long term home. Kris Adair was one of the founding members of the Lawrence Freenet project and served as the treasurer from its inception in April of 2005 to its dissolution in 2012. Kris is a member of the USD497 School Board and is a passionate advocate for teaching children healthy eating habits. Her blog "In the Kitchen with Audrey", provides thousands of families with resources to teach and cook with their children. Kris brings two decades of experience with personnel management, inventory management, online sales and day to day bookkeeping to the organization. Kris is a member of the Cherokee nation and graduated from Washburn University with a B.A. in History. Josh was also a founding member in the Lawrence Freenet project and was responsible for leading the effort to build Lawrence's independent, locally owned ISP. Josh was the principle designer of the Lawrence network infrastructure and is responsible for the network’s impressive performance. Josh continues to provide leadership at the company which is now operating as Wicked Broadband. 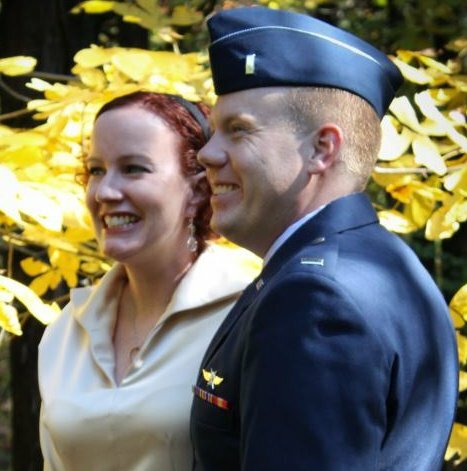 Josh currently serves as a reserve officer with the 184th Intelligence wing at McConnell AFB.